I’m super excited to welcome my good friend and award-winning author, Paul Selig, to the studio to discuss his newest book, The Book of Truth. Paul talks about being a conscious channel, the methods in which his guides dictate to him and, as a special treat, you’ll actually get to witness Paul Selig channeling his guides live and the wisdom that comes through—just for us. In our broad-ranging conversation, Paul Selig and I talk about overcoming fear, learning to realize that we are divinity in form, what truth really is, as well as claiming what you want, and how all this relates to both our individual lives and the entire world. Paul also discusses some of the lessons his guides share including a great one about forgiveness, a discussion about universal truths vs subjective truths and, finally, Paul and his guides answer the questions YOU, the Afterlife TV audience, submitted via our Facebook page. Paul’s down-to-earth manner and sense of humor shine through and you definitely don’t want to miss this special full-length episode! 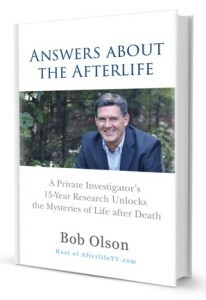 Bob: Hey everybody Bob Olson here with Afterlife TV. 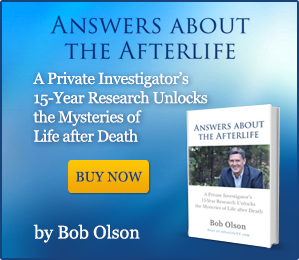 You can find us at afterlifetv.com. This is where we talk about life after death and answer the meaningful questions around that subject. Today we have a very special episode. This is not a bite-sized episode this is a interview like so many of you have been asking me to do again. And we have a guest who has been here before, you have been asking me to have him back and here he is his name is Paul Selig. Welcome Paul. Bob: So happy to have you here. Paul: Glad to be here. Bob: Well, one of the things we wanna do is celebrate Paul’s new book, “The Book of Truth.” If you read any of his books you know what they are alike. If you have never read one of his books then you need to listen to this interview and I’m sure that by the time you finish, you’re going to be ordering one of his books. I love all of them and I always say “Look, you can start with any one of them but go with the newest one and then work your way backwards.” Now, I just announced to our Facebook audience that we’re gonna have you on and I invited some people to leave questions. A few people said “I just want to bought all of his books,” that’s pretty cool, right? Bob: Yeah, it’s nice. Do you think…I know that one of the questions really was, you know, do I have to read all the other books before I read the newest one, what’s your answer to that? Paul: No, you don’t have to. The guides that I worked with, the dictate the books are really teaching in what they describe as a one room schoolhouse. So they’re meeting everybody where they are and they do make a real point, I think of bringing everybody together to bring them to the teaching so that you don’t have to read all the prior texts to embark upon a new one. Bob: Let’s just talk about your books for a moment. I think it’s important to somebody who is new, the old elevator speech, you know, “Paul what do you do for a living, you know, I’m a writer what do you write about?” How would you even answer that question in an elevator? Paul: You know, probably if somebody asks me in elevator they wouldn’t wanna hear the answer. Bob: Yeah, yeah, yeah. What you tell on that elevator? 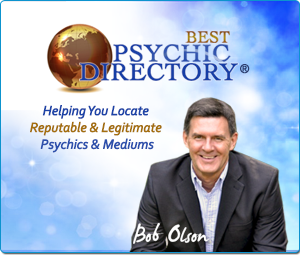 Bob: What I tell people when I’m ask now is that I’m a conscious channel and I take dictation from guides that deliver entire books through me that don’t require any editing. And at the books themselves are the unedited transcript of oral teachings of recordings that are given over usually a period of weeks, 30 days is usually as long as it takes to deliver a book. So, I describe myself as a conscious channel because I’m present for the work. I’m not asleep like in your case he was, I’m literally whispering the words that come to me as they come and repeating them for the listener. And I do seminars all around the world now where the guides are coming through to teach. So, I’m a conscious channel who does these seminars and has a practice where hopefully I help people with my empathic work. They also call me a medium for the living which is not ability that I seem to have that seems to have come in addition to the channeling although they work together in some ways. Bob: I like that description, medium of the living. 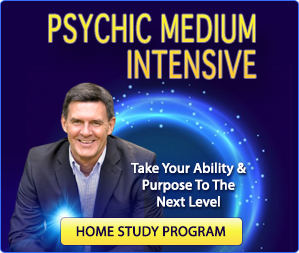 Unlike a psychic, will say who does predictions or helps people with direction in their life or a medium who communicates with loved ones to see as loved ones in spirit. How would you define a channel? Paul: Well, when I’m channeling I’m literally taking dictation, so there’s no interpretation involved in channeling at all I’m a radio. And when I’m working with my guides, I’m playing their station and their broadcast. I’m literally saying exactly what I hear as I hear it in sequence. When I work psychically or empathically in my practice I don’t call that channeling but I’m still a radio. So, if you come to me and the first thing I’ll do is tune into you usually by your name, which is your coordinate for me, the radio station that I tune into. And I will essentially become you, I’ll step into you, I’ll feel what it is to be as you, and then start to hear what’s really going on, you’ll give me the information or my guides will give me the information. And if you’re coming say because you’re a strange from someone in your life and you give me that person’s name, I can step into them as well and I actually may begin to resemble them. I’ll take on their physicality and their gestures and their facial expressions and hear them. So, I’m kind of…if you think it sort of as a switchboard or as a radio that’s operating between multiple stations that’s one way. The channeling is one bandwidth and one station to living and that includes people in comas and people who have lost the ability to speak or people with dementia. I’m still able to sort of access them in ways that have been, you know, proven out or authenticated. Bob: We saw on TV show called “The Unexplained” not on anymore but it was on in, I saw you do that for a young man who had cerebral palsy. And you basically became him and I’ve seen you do this with other people. I went to one of your workshops and you’ve done it for me. One of the most fascinating experiences I’ve ever had not just watching it, I mean, not just doing it myself or when you were doing it for me but watching it and seeing you do it with other people. But the one that you did on “The Unexplained” was the first time I’d ever seen you. I don’t know with other people who are doing this, you’re basically taking on their energy. I mean the other person might say you’re actually getting inside their body and feeling what it are like to be them. Paul: Well, when I first tune into someone it’s a physical experience for me. And before I hear anything I feel them and there’s often corresponding gestures. So, if I tune into somebody and immediately I’m pushing everything away or guarding my private parts or, you know, showing tears. I understand what’s going on or what the issue is. And then usually language will come to support that and it may well as be a simple phrase like, “stay away, stay away, stay away,” or it may be something like, “I’m never gonna understand, I’m never gonna understand.” And you work with whatever that is and then you inquire. So, the initial phrase for me in some ways is kind of like the key in the lock and then you open it up and then the reasoning for those things can come up. So, once the client confirms the issue which they usually will, right, “Yup that’s what’s up,”. Paul: Or, you know, “They’ll be some other way to understand it.” So, hopefully what we can do then is support the movement of the pattern itself that was created at one time. And a lot of those patterns seem to be sort of a misidentification of who we are that sort of created a lot of circumstances in our life that we don’t really need, you know, they’re really not helping us. But because we were told we were an idiot by our teacher in second grade and we think we’re an idiot and our parents may have confirmed that, we walk around living a life in agreement to a level of shame or ill achievement or something else. Bob: Yeah. And this is one of the reasons why I say, “If you’re skeptical and you’re looking for evidence go elsewhere.” If you really wanna do some deep work with yourself then after you do that and I know there’s two ways you can work, you can get into that very quickly. One is, you know, just tell me what you’re getting Paul and let then…we’ll start from there. There is you can ask a question that’s been on your mind, a lot of times it’ll have to do with this but at least allows you in, you were telling me that this morning, right? But then turn it into a conversation. I’m saying this to you the audience, you who is listening to this. If you want to get a reading with Paul I recommend, let him, figure out what this core issue is and then let it become a conversation between you and Paul. So you can really work through this issue. And you can, you can work through that issue in that one session, I’ve seen it. But the last thing that you said it’s like, there’s like a clearing that takes place, there’s a change in the person’s vibration and that’s what all of your books are about and these books are authored by your guides, right? You call that your guides, so why do you call me guides? Paul: They call the guides because of my ex. When my ex found out I could do this, used to say as the guides this, as the guides that so then. I call them the guides and now everybody calls them the guides and that’s perfectly fine with me, I don’t think they care. Paul: You know it’s a nice title and it works. Bob: It is. It’s a beautiful. Paul: It’s a collective. I mean that’s how I understand. I don’t see them normally I have done some of that work but I feel when I hear and I’m very aware of the differences in vocabulary that come through when I work. Although they’re really working in a very common way and towards a common goal when they’re bringing through these teachings. Bob: Now, one of the things that I really loved by your books so guides authored these books, you say you basically took dictation as the channel. The guide say, and I think in every book that just by reading this book we can raise our vibration. But the words are really important, can you explain that? Paul: Well, the guides say, you know, that the books are operating on two different levels through the words on the page which create a context for the teaching so you have an intellectual understanding of what’s going on and you can track it and you can apply it. But they say that the real teaching is the energy that’s informing the books and informing the language. And they work with attunements through language in all of the books and the attunements they say are basically encoding the field, the energetic field to support change. So when you work with these things and you can call them…I call them, “Claims of Truth,” that’s what the guides call them. They say when something is true, it is always true when you claim these things they’re always true even if you’re a small self or personality can’t agree to it. There’s an aspect of you that knows the truth of this and that is the part of you that can speak or intone them. Through the intonation, you actually align your field and there’s something very palpable that happens for many people energetically as they do this. So, when you read the book reviews on Amazon you hear people say things like, “You know, I’m reading the book and my body is vibrating. I’m reading a book and I’m seeing auras.” And so, all of these phenomenon seems to come in support of the work they’re doing to help us transform. Bob: And there’s a lot of that. I recommend, you know, you’re interested in this book “The Book of Truth” by Paul Selig. Check out the reviews, it says at all. And I’ve had the same experience that so many of those people write about in those reviews, you know, it reminds me, you know, I worked with Malas everybody knows that I’ve been working with Malas since 2005 and working with mantras. And when I start, first started working with Sanskrit mantras, you know, there’s teachings about the power of saying those words a loud even, you know, especially you can say it to yourself quietly, silently. But then to say them out loud there’s a vibration that is a thing, right? There words are things and has its own energetic power to it. And I think just by reading this, Melissa read most of your books to me and that has a special quality to it. Bob: And then I actually, “The Book of Truth,” I downloaded the audiobook. What I loved about that was, it’s your voice. Bob: And so many people love to hear the author’s voice. But I think what’s most important about your audiobook is that you’re now reading what the guides wrote and you know at least you have a much better sense than anybody else. And still where to emphasize words and where not to and how to work with saying it out loud? Paul: Yeah. I mean if you ever see me channel live or you look at the videos that are out there of me channeling, I’m whispering and repeating and whispering like it’s a mile a minute sometimes. I’m just trying to keep up with the dictation. Paul: And then there’s a very patient woman who then transcribes these things. And then that transcription becomes the book that I go into the recording studio to read, so I’m actually back to speaking it aloud but without the repetition. So, I do know the intention of the guides, I understand the cadence in the way that they emphasize their words. So, and I’m sure they’re working with me as this is happening, you know, row in together. So, yeah I’m glad that you’re finding them effective. It’s a lot easier for some people than hearing the initial delivery which can be a little startling for some people for the first time. Bob: And I’ve learned really more recently. I get whole all new stuff like new stuff by listening to it. Paul: Yeah. And I bet if you were to go back to the printed volume and looked at it again you might be surprised at the same thing would happen. So, it’s kind of fun that people say, “You know, I’m reading the book and I don’t know that this was there the last time I read it but I asked a question on page two and I turned the page and it was right there at the top of the page.” So, it’s interesting that people are having these experiences. But if you think of this is sort a…as collaboration that the reader is having with the authors of the book not me perhaps makes more sense. Bob: I agree. And the Afterlife TV audience will know that and then we’ve talked so much about the spiritual dimension, you know, not leaving in time or space in the way that we know it. Now, this is all related to what we’re talking about the guides call this book at least “The Book of Truth” I know because I picked up one, was a vibratory Oracle, it’s all what we’re saying, right? Paul: Yeah. Yeah. They did use the word Oracle and I’m still trying to understand what they meant. Except that I think that you can be in the inquiry with the book and receive the answers that you require in your life. I mean, they’re speaking about truth here. Paul: And they say what is true is always true. And that may mean moving beyond your investment or my investment or what I want to be true or my personal truth to something that’s already existing in a higher way and giving us access to information at that level. Bob: Okay. When I think of all your books I think that the core message for me at least is that, it keeps reminding me of my own divine connection, my own divine self. Bob: And in the early works you were talking a lot more, you still use it but you are using the phrase Christ consciousness. And it took me a while to get over that, I actually then learned to love that phrase, understanding what Christ really means. What does Christ really mean? Paul: Well, their definition of Christ which is their own and the one that they’ve given in the books is that the Christ is the aspect of the creator that seeks realization as who and what we are? So, it’s the seed of the divine that’s implicit in everything in all of us and that it seeks to be realized. And by realized, they say realized unknown means the same things but to be expressed as this to be expressed as the true self. They use the term Christ itself, they also use interchangeably true self, infinite self, divine self to me in the same thing. But they say it’s in all of us and its expression finally is the purpose of the text to be realized that this level of awareness of who and now they are saying what which means inform as this thing, this feel, this vibration, this level of agreement or consciousness that is in accord with the true nature of our divinity. Bob: Same concept, really, and to me realized that I am connected with source, universe God brave intelligence, the divine. I really had to wrap my mind around that way back then but still today as I read your books I still recognize and this is still something that I need to work on. And that’s why I love that you keep coming out with new books because I get each book is a new angle at that, right? Paul: It’s also, I think each book is a progression in the teaching. And the very first book which they dictated in 2009 was called “I Am the Word.” They said something was kind of radical and I didn’t understand it. They say, “That the Christ as man or humanity is an event that happens.” And I thought well that sounds nice and theoretical and I guess that means that, you know, we’re all spiritual and isn’t that pretty. They’re really talking about this is an event that happens that manifestation at this level. And realization at this level is actually part of our heritage, our inheritance that we can now begin to claim. And there really supporting us, I think in a rather sequential way in doing this. The third book that they wrote was called “The Book of Knowing and Worth.” And what they were addressing there was this collective belief and this personal belief that we have that we’re not even worthy of this, we’re not even worthy of our relationship with the divine. Now, do I have this down? I don’t think I do, I was raised an atheist pretty much. And I’m still willing from some of these teachings. And although, I know that they are true because, you know, there’s a quote that’s attributed to the woman who channeled “A Course in Miracles” which I actually haven’t it read. And she said “I don’t believe it but I know it’s true.” And I completely agree with that feeling like either stuff comes through I can’t deny it. Paul: But they are talking about, this is something that is happening and not just in a pretty theoretical way. These aren’t self-help books, these are really, I think, tools for manifestation and realization on an energetic level but is then going to transform our physical experience here in this world. 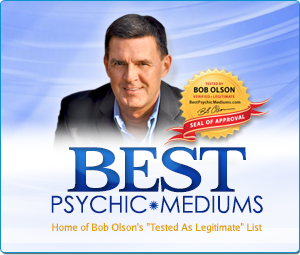 Bob: Do you think a lot of it has to do with raising our vibration or…? Paul: Yeah. I actually do. You know, they talk about octaves, you know, and I mean especially now in their most recent teachings over the last six months or so, they’ve begun to say things like, you know, a note exists on a piano, say middle C exists on a piano. You know the note C is played but it also exists in a lower octave and in higher octaves, and in octaves that you can’t even hear that are well off the keyboard that you would normally play, that you could understand. And what they’re doing, they’re saying is lifting us to begin to operate in a higher octave. And in that higher octave, we actually have to release the things that have been obscuring or preventing our ability to hold that level of frequency, and that’s really what they’re taking us through. Bob: What you just said there and it’s like one of those I just wanna keep replaying to listen to, so I can really absorb that and own it, which is kind of what you’re talking about. They talk about operating is truth, and what does it mean to operate is truth? Bob: Well, for those of you who are not familiar with Paul, now you understand what it’s like when he channels. So he just channeled, he says it very quickly to himself as he’s getting it, I’ll just say that, and then he repeats it for us. So, the second version of it is so that we can hear it and understand it better. And it takes a little bit for some people, maybe one of the likes I train my ear not to listen to the first one, I listen to the second one. That’s the kind of wisdom that comes through, not just when you’re getting a private reading with him or when you’re in one of his workshops, which you get a lot of that in your workshops, but also when you’re reading these books. Now, take down a step further with that. And again, this is really just in the first couple of chapters. The issue, this is the guide saying, the issue you all have is that you replicate your history. Bob: I love that phrase, but can you explain that to the audience? Bob: Yeah, you make perfect sense. Yeah. Bob: Yeah. No, I’m glad you brought up the fear. If you hear yourself…tell me if this is right? If you hear yourself going, “Look, I know I do this and it’s not healthy but my grandfather did it and my father did it and now I do it. It’s almost, you say that and it’s like, so I can’t change. Paul: Yeah. But we have to look at where we do this on a collective level too. So, I mean, one of the things the guides have said is “You know, you’ve always had war. You’ve had it for so long, would you expect that you always have it?” So you’re always claiming it again even though you know. Even though you say it’s not what you want. And until you can align to a level of consciousness or awareness where war is not possible, you’re gonna continue to claim what you’ve had. And it’s that simple. So we claim what we expect to claim because we’ve been taught to claim it. And if you look at religions and governments and all these stuff, there’s nothing inherently wrong with I think a religion or government but they’ve all gotten kind of screwed up along the way. And the guides say, you know, everything that’s been…well, this is what they say in the Book of Truth, they say, “In truth, a lie cannot be held.” And everything that sort of been created in fear is gonna need to be recreated in the higher way, and we’re sort of seeing some of this play out now, if I understand it. Where the things that we always thought would be there and the ways that we thought they would be seem to be teetering. And perhaps, I hope something higher or newer or more truthful or more loving would be born in their places. Bob: That certainly my hope. That’s one of my favorite phrases “In truth, a lie cannot be held.” You were telling me about that as you’re writing this book, and I just thought, “Oh,” I don’t know, something super powerful to me about that. And if you recognize what that really means then…I don’t know, it kinda, it gives you hope and peace, especially when you’re looking at those, that bigger picture. Paul: Yeah, fear is a lie too. You know, that’s what everybody says, you know, “Fear is the great liar.” So, as you’re aligned to truth, you stop agreeing to fear at this level, you stop creating from it. Bob: Speaking of fear, the guides also say, “What we are most frightened of at your core…” not them, this isn’t, they’re saying, “What you are most frightened at your core is that you are God in form.” So, again, we come back to that. But interesting, now, why are so many people afraid of that? Paul: Well, then I don’t get to blame anybody else then I don’t get to be a victim. Then I don’t get to say it always happens to me because then…I mean, this idea, you know, people say “Well, you know, you create your own reality and you created this.” I mean, I’m not gonna disagree with that teaching but I think that there’s…my clients speak about it in a very different way. They say that you’re in agreement to everything that you see, and that means energetic accord. So you’re in agreement to everything in the room, or perhaps, you bought it or you put what you liked up on the walls. Perhaps, it’s just, I agree that what’s in the room is a chair, and a desk, and a wall, you agree and you’re confirming your reality. So we’re always, you know, confirming our reality. And if we’ve confirmed a reality that’s operating, that is victimizing us, we’re actually denying our inherent mastery, which is the ability to claim something new. Bob: Yeah, while we’re here. Paul: While we’re here, yeah. So, let me ask them and see if they wanna say it like similar to this. I would like to say something very different so I have no idea where they’re gonna go with this sort of things. We would like to say two things. Everything you see has been confirmed by you, your confirmation of what you see is what gives it names, that is a table, that is a chair, that is the house that I have lived in. You are always confirming a reality based on the history you have known. If everything you understand that can be witnessed, can be witnessed in a new way. In a higher octave you stop confirming what you don’t want. You don’t realize you have the right to transform or realize who you are outside of what you have been expected to be. You’ve expected to be fearful or damned or unloved or unworthy. And you confirm that reality as a small self, the divine as you know who he knows who he is, seeks expression as you and will do so when you stop claiming that you are a victim of what you have known. So perhaps, that was more clear. Bob: …what a life is like. I think if just go one step deeper than that and if I’ve even trying to understand this would be that…they’re not just taking responsibility for it but if I realized, right? To myself more as the divine being that I am these things when even be in my life. Paul: I suppose, I mean, but you see I think and the guides that have been clear about this that everything that we encounter is an opportunity to learn. Paul: Everything, every engagement, every challenge. And if it’s perceived in that way then again, we’re having a different relationship to our world in our life. I do believe that as we lift in accord in a higher way we stop claiming the things that we’ve been taught to claim that may be causing us pain and harm. I mean the guide say, you know, “The true self doesn’t care what anybody thinks of him or her.” She’s not invested, she doesn’t seek a claim, she doesn’t, you know, why? Does it make any sense? Paul: And so, when you stop being attached to who you think you’re supposed to be, which is usually based on who you were taught to be and what you think you must be in order to get what you want in the world, your relation to your world is innately transformed. It has to be and then what you call to you energetically will be transformed as well as. Bob: This is also from “The Book of Truth.” The realization of the truth of man and what he has wrote, what he has claimed, and what he would do with it if the small self continues to embellish the importance of his fears is just more of what we’re saying, I think. Paul: It’s a good line. I forget them because I hear them once, I mean, it’s like I labor of when you’re writing here. Paul: It’s coming out of my mouth and the rule is if it’s coming out of my mouth in a book session it’s staying in the book we can’t…. Bob: Yeah, that’s right. Let’s just go back to something that is I think in all of the books interesting you added towards to this one. We’ll talk about these three phrases that you say, that you ask the reader and this is they ask the reader to say, “I know who I am, I know what I am, I know how I serve.” We talked about this in the first interview that I did with Paul which is gonna be underneath this video on afterlifetv.com. But with this one that you say “I know who I am in truth, I know what I am in truth, I know how I serve in truth.” With that the last book, “The Book of Mastery” was more about the who, I know who I am, this book “The Book of Truth” is not more about the what? I know what I am. Bob: You know, if someone was new to this why would they ask us to repeat those phrases to ourselves? Paul: Well, the guides say that their claims of truth and their attunements and they work with the field. So, when the guides first brought through I know who I am, I know what I am, I know how I served, they said that that calls you into present time which is the only time that you can know anything. So you did know yesterday and you’re not gonna know tomorrow and you can only know now. So that’s the one thing. Now the claim, I know who I am is spoken as they say by the true self. The true self always knows who he is. It doesn’t matter, I mean, the true self is going by the name Bob in this lifetime and has created a wonderful life for himself here. But the true self knows who he is outside of all these things and that’s identity. I know what I am means in manifestation. The divine in manifestation that eternal self in manifestation as what you are, which means embodied and in this physical experience that we’re sharing. And how you serve, how any of us serve they say is the expression of the true self, your realization of yourself in the world is how you serve. Now, when they brought through truth here, they speak of truth as a wave that’s here now that is sort of reclaiming and reforming everything to be in agreement to it. And they say those things that are not in truth are essentially going to be reclaimed and, you know, remade in a higher way. I mean, the image really was a flood and wind, you know, moving things. There’s a lecture that they gave at a workshop in Richmond, Virginia three days before the last election maybe it was two days called, “Great Change.”And it’s an amazing lecture because it’s been fairly prophetic about how things have played out. But they said you know, “Your idea of choice has been, but I prefer the milk or the cream,” you know, and what’s really happening. This is what you can expect now is what happens when the table that was holding and open the cream turns over. And there are whole other choices that have to be made not the expected ones. So, when they talk about truth they’re actually talking about our alignment and these claims of truth they say are aligning us in the vibration. Now, imagine that you are a radio and you’ve only been playing the stations that you thought that you were allowed to play. What they’re doing is they are tuning the radio that you are to play the higher broadcast and each time you claim this you’re back to that radio station. Paul: You understand and as you get comfortable there, you stop playing the lower ones which are causing you pain and shame and all those things you say you don’t want because you know where you can go. And as you stay here and this is my understanding and you begin to create from this level your life begins to shift. Bob: Okay. So then, you know, I wanna say it was “The Book of Mastery” but I might be wrong. Was it the “The Book of Mastery” where you then introduced I am here, I am here, I am here? Paul: That was “The Book of Mastery,” yeah. “The Book of Mastery” I am here, I am here, I am here and they say that’s the claim of the true self. In its purview that’s their word at the purview. And the purview which means…I know what the definition of purview was actually, I assume it’s like the jurisdiction of the true self they say is everything that can be seen or imagined or known. So the true self…essentially this is…this is the example that was used I think. So, I think I said to them so if there’s a book on a table in Paris I’m in relation to that book in Paris they say, “Yes, the moment you know about the book on the table in Paris, the consciousness that you have is actually informing that thing.” Now, the consciousness that you have they say is informing everything you see and the meaning that you’ve been taught to give everything is what you’re endowing it with, so you’re reinforcing evil or what you think of as evil or terrible by these claims that you will make. And essentially you’re tying yourself to the things you say you don’t want. Paul: That is forgiveness. Yeah, but it’s not about forgiving the other it’s about releasing yourself for what you’ve created. It’s about, you know, the guide say all of these interpersonal stuff is usually answered by the idea. You’ve got to forgive somebody else for not being who you wanted them to be that’s usually the big problem. Somebody did but they didn’t want. Paul: Forgive them for not being who you wanted them to be and they’re off the hook and then I’m off the hook as well. Bob: Yeah. Oh my God. That’s great. Let’s talk about those two truths and I was writing as down, you know, this is the eternal truth what you call the other truth? Paul: I think personal truth. Paul: So, it’s not my truth that, you know, he’s a terrible person or she is at this or there or that or whatever it is, so that’s all opinion. Paul: … it’s always true that this is so in this moment. Paul: …so they are not true. Bob: Yeah, those are good. Great examples. All right. Thank you. Bob: You know, that so interesting I wonder what you think about this, maybe what the guides think about this. And I’m not gonna quote, a mutual friend Natalie Sudman. And one of the interviews I did with her, she was talking about potential of the possibility that there might be many Nathalie’s out there. And we were talking about choice. Bob: Talking about when she makes a choice for instance it sends her down and she used that word I think through Jeffrey since or, you know, certain direction but that she could have made a bunch of other choices. And if she had made a different choice she ponders with the possibility that there might be a Natalie that exists on some dimensions somewhere. And again, this is me paraphrasing. Bob: How does that work with all of this? Paul: I hear that it’s accurate that it was opposite from the network from taken. They’re saying the true self is eternal no matter what form it’s taking up I know it’s up. However, it might know itself, you know yourself as a five year old because you are still the true self the geriatric is still the true self. There always an existence in some way. Their aspects of you that have taken formative and been realized in flash. The idea of multiple realities or timelines is also accurate. But your understanding of these things is actually limited by science and what you believe can be so. Once you understand what can be so you can claim very different things and have a realization of them. We are not denying that you can be existing different places at once, in fact, you are but their aspects of you that have never taken from that are still present and singing along with you as you go about your day. Bob: Wow. Beautiful. And that answered my question. I’m wondering when you think of that when you think of the possibility, okay I made this choice. Bob: I worry that I maybe should have made that other choice. Does it give you a sense of peace of mind that the Paul had made that choice exists too, so I couldn’t…I’ve made the wrong choice? Paul: No. I don’t think that way. I have a hard enough time managing one wife and let alone multiple ones and now I’m hearing all these voices that are dictating whole book, so I don’t want to get a rougher than that, truthfully. Bob: She ponders new possibilities as one of the things like that. Paul: We’re fans of each other’s work because I have a hard time reading the books that have come through me. Because they’ve come through me but I can read Natalie’s work and confirm it and makes perfect sense. And she sort of says the same thing, so we were fortunate that we became friends so we can actually learn something I think. Bob: Right, right. Her book “Application of Impossible Things.” Well, in “The Book of Truth” you or say the guides allowed questions from workshop attendees? Bob: So a lot of what’s in this book you would channel during workshops? Bob: Now the great reason to go to one of your workshops. You know, the stuff that we learn might be in one of your future books. One of the questions that was asked was, it’s kind of a question kind of a statement. I have trouble trusting my life as it unfolds and I wanna stay in my truth but I’m afraid I’m off from it so far, it scares me. How it goes along what we were just saying? And their answer was the magic of who she is, is actually much stronger than anything she could believe about herself to the contrary. Bob: Another beautiful statement, right? Paul: Well, I remember that, I mean, that was I think part of a live stream, you know, I do these things on Wednesdays as they take questions. And once in a while the guides will say, “If they’re in the process of dictating a book they’ll say and this is in the book.” And this is, you know, it’s a part of a chapter. But I remember the person who asked that and she was very sweet. And I think the guides were being very helpful to her in a very specific way but again it’s the same answer that we over identify with the stuff that isn’t true, you know, I mean it’s not true that we’re unworthy of love. It’s not true that we have no right to our lives it’s not true. But we go around doing to that, and we go around doing that to everybody else as well. But they don’t have the right to be here, they shouldn’t have been born. She should, you know, whatever, whatever we wanna claim for another in denial of their right to be here only confirms that we’re doing that in some strange way for ourselves, you know. Bob: Years ago I learned somebody told me about the idea that when we’re children you come up with this idea that daddy doesn’t love me. Bob: And but then we seek evidence to support that. Bob: Daddy doesn’t love me, right? And we do that. Interestingly that seems to come more natural to what I think in most people. Then saying daddy loves me and I was seeking evidence to support that. Paul: Yeah. Well, I think it’s possible that daddy didn’t love the person. You know, daddy may have been really a piece of work and a narcissist that wasn’t capable of it. But what ends up happening is we end up constructing what the guides call a frame. And they say a frame is like imagine, imagine it’s little hole in the door that was speak easy where you look out into the world or the picture frame that you hold in front of you. And they say that the purpose of a frame is to contain or to confirm the belief system. Paul: Now the true self the guides would say, “Doesn’t have that frame, it doesn’t operate that way that’s a creation.” And we’re really responsible for our creations, it’s an idea, it’s an idea that we’ve confirmed and that idea has been confirmed and has taken form, the evidence of but it’s all over the place. So I can, you know, if somebody can say people are terrible and that’s their experience of being in the world. Somebody else can say, “I love people they have that experience.” And I mean, those are easy examples of frames but we do walk around with these things I think at the cost of our freedom which is what the guides are now starting to talk about are real freedom and what that really means and that also means freedom outside of collective agreements about what it means to be here at all. You know, what it means to be a man, what it means to be a success, what it means to be anything. You know, and all of these ideas that we’ve inherited for so long that are keeping us from being who perhaps we truly are. Bob: You know I have to wonder, you know, how much of that…I don’t wanna use the word we’re attracted to us, the phrase we attract. But how much that we create and it maybe even. Because it just reminds me, I’m talking about a very small scale here by very personal basis but, you know, you’re in school the teacher is gonna call somebody, you know, and you don’t know the answer and you go “Don’t call me, don’t call me, don’t call me. Bob, will you answer that question for me?” I would have been better off just to not think about it at all. In reference to what you were just saying, you know, is it possible that we were expecting things from a wife that the friend gets filled because we were expecting? Paul: No, no. The purpose of our frame is to…the guide say that there’s a gesture but your…that’s the guides do, they call it the “Motor of Creation.” And I’ll do it for you here in the studio and I’ll try to explain to your audience what I’m doing. My arms are in front of myself and I’m sort of calling things to me. It’s like the wheels of what would of those things in the dams, you know, in the house. Paul: This is, you know, just one after the other…like the dog paddle in reverse is what I’m doing. Paul: So the people can see this. Now, the guides have said, you know, “Imagine that you’re floating in an ocean and in that ocean everything exists that can ever exist. With the motor of creation is doing is calling to you what exists in that field.” Now, we can call in a highway which is I deserve a good life, everybody deserves a good life. If I say I’m the only one who deserves a good life that’s a low claim. I can claim that too but I would be claiming in low vibration. So, the frame is their yes but the idea that the frame is filling itself with what it expects to be there is the motor of creation and action. Paul: So we are always calling to ourselves these experience but you see the good news is that these are every experiences an opportunity to learn. And perhaps the experience is to show me that I don’t have to keep doing this. Paul: Do you know that I have other choices that can be made. The idea there were always dining out on yesterday’s leftover is the belief that I’m always gonna do what I’ve done because that’s all that can be done because who I am is inherently wrong or limited or my father didn’t love me, whatever it is. Paul: …would be a high claim. I am worthy of love would be a high claim or a claim of truth because you are worthy. I am the only one who is worthy of love would be a claim of the small self. Bob: Why is that love? Paul: Because you’re deciding you are to…let me ask that’s my impression, they’re saying because it’s a claim of separation and entitlement in a fearful way. You would only claim that you’re the only one entitled to be happy if you were fearful. Why wouldn’t you want everybody else to be happy to be happy unless you’re condemning them or denying them happiness? You would not do that unless you are afraid. That’s them. Bob: That makes perfect sense. Bob: Now I feel stupid asking it. Paul: I didn’t know what that meant too either, some way you clarify. Bob: No. That was great answer and then I was just like “Oh, off course.” We had a few people ask questions, you can just give us quick answers as you want. Bob: Linda Hirsh asked, what does it mean to just be? Paul: Well that’s a really good question. I have no idea, I don’t know if this can be a short answer but it may be for them to allow yourself to be as you are without the expectations placed upon to be realized in ways you think you should is to allow yourself to be and being you may know when you know you may act and make claim from that. Bob: Here go Linda that was…I bet you weren’t expecting to hear from guides. Yvonne, she is having a difficult time stating the, “I am here statements,” and she is kinda wondering why, any idea? Paul: Let me, let me…I’m gonna tune into Yvonne and see if I can do it that way because maybe in the high way, I don’t wanna be here. Well the interest, what I hear is I don’t want to be here that’s the reason, I don’t want to be here. So I don’t wanna claim it. What she thinks she’s doing and this is the personality self is she….I feel that it’s reinforcing what an aspect of her doesn’t want. So, here’s a bad example if I’ve gotten my needs met through being unhappy or I’ve over identified with being unhappy and I’ve done of some of this in my life. The claim I am going to be happier or I am happy is contradictory to what I think I want because I’ve gotten my needs met from the other. Paul: Now the answer here is that the small self is not who makes that claim, the claim I am here, I am here, I am here your claiming or you’re…it can only be said by the I am presence or the divine self. So, if she says it with that understanding she’s actually giving permission and there is an energetic component to this. When I do this in my workshops people can say to their partner if I pair people up you are here, you are here, you are here and they’re feel this blooming at the heart center. And this heat that comes and you can begin to feel about for yourself the energy of this is actually pretty significant when it’s worked with. Bob: And I’ve done that at one of your workshops, really, really powerful. Imary Tobacolone [SP] wants to know when the next book can be expected. Paul: Well, to understand the guides correctly they began dictating at last weekend like three days ago or four days ago whenever it was and I’m still going, I thought I had another month before they’re gonna start. My assumption is, I don’t know when the publication date is due to the publisher, late fall and I assume it’ll come out about a year after that. So, what the guides are already calling at the “The Book of Freedom,” and they’re preparing the teachings now and I guess they’ve begun delivering them well, we’ll find out as they continue. Bob: Steve Gerecke [SP], I mentioned this to you earlier, and you have any answer that you’ve given this question before. I think you just give it again in the line. He loves the teachings but he has a trust issue with who the information is coming from. What’s the answer you often give to that question? Paul: Well, I call them the guides because that’s the term that I’m comfortable with. They gave a name in the fourth book when they say “If you wanna call a something you can call a small keys a deck.” And I was uncomfortable, although that’s a name I’ve been given before and they’ve also said, you know, “We are the Christ, that’s a level of agreement or vibration artist, we are in Jesus they haven’t said that ever. Paul: But, you know, I trust the teachings because I’ve been working with them, you know, since they began. But there is a couple of very important things to me as a channel when I meet people that say, “That they wanna be a channel.” This is the advice that I give them. First of all, don’t listen to anything as fear based and the guides are never teaching in fear. And they’re never teaching us to be fearful of other people and they’re not saying we’re gonna be mind controlled by this or that or that’s just not their thing, it’s not how they operate. In fact, again they teach at the action of fear is to claim more fear and they encourages not to align to that. The other reason that I trust them is that they are not teaching vanity, they’re not appear, I was gonna be honest they shouldn’t appealing to my ego. I kind to wish they would some days but, you know, as I’ve said this is never gotten me a date yet, you know, and I’m still waiting for that too. But the idea and I meet people occasionally who are opening up channeling and they’re saying, “I have been told that I am the only one to bring forth this thing and I’m here to save the world.” Or, “I’m channeling and my guides are saying that the man next door who hasn’t talked to me for 20 years is still gonna be my married partner.” And I go, “I don’t know.” Because if they’re telling you about controlling other people or other people should do or they’re condemning anybody or they’re praising or appealing to ego, I think that that’s tricky stuff and I tend to stay away from that. I think it’s a good warning signal. You are the only one and, you know, this is sort of single that’s an appeal to vanity. Now, my guides don’t do that but they teach in a very loving way. They’re direct, they can be blunt, they can be blunt with me but truthfully I have to say that in all of the work that they have done I have never seen them judge anybody for being who they are. And frankly they haven’t done it with me either. I think they got impatient or what I perceive as impatient at times with me in my resistance to the teaching. Paul: So, but, you know, I’m gonna say this to the guide who asked the question. You know, use your own assessment here, you know, first of all I always say, you know, I’m not a spiritual teacher and I’m not a guru and the guides are teachers and they don’t want your authority either. They’re the first ones to say, “We don’t want your authority we want you to be in your own.” Anybody was asking for your authorities looking to get something from you and I think that’s different and I think that would be true if it was coming from something that was claiming to be a higher source as well as somebody sitting before you in they catch him in a turban. Bob: I appreciate that answer because, you know, a lot of people say the same thing to me. I mean they asked me the same thing. How we know, you know, the near death experience. People are being deceived, you know, by some evil spirit or how do we know the mediums aren’t being to see. And that’s always been my message too, and the messages that come through are really what you wanna look at. Bob: Litmus test. Perfect answer and thank you for that. “The Book of Truth” by Paul Selig, it’s now came out in June, right? Lots of great reviews on Amazon, the audiobook is out and imagine to get that out in Kindle. Bob: But the other thing I just wanna talk about the workshops. Because you offered a variety of things, so first of all there’s a live workshops, one of the things that I attended. I talked about this in another episode. I’ll link to it so people can listen to it. My experienced at one of you worksholps. Bob: They wanna know what that’s like. But the live workshops all around the country, right? They can find out about those, at paulselig.com. Bob: First of all, I recommend everybody sign up for your newsletter. You go to paulselig.com sign up for your newsletter because the things that come through there offer a variety of ways to learn more about this information. Bob: The one by the book, two you talk about these live streams. Now, the live streams are every Wednesday night? Paul: Pretty much every Wednesday. We take a week off every, you know, four, five, or six weeks but the other consistent. Bob: And how long delays last? Paul: They’re an hour and 15 minutes. Each teaching, we go from 8:00 to 9:15 Eastern Time but we actually send people the recordings within 48 hours afterwards if for some reason they can make it live. Paul: And the guides are teaching every week, they’re bringing something new through and they’re taking of these questions either on the teachings, on the worker, on people’s personal lives and personal issues. So it’s become a big of forum and the meeting place for people who are doing this work and working with the text or just curious from around the world. Bob: To me, what a gift to be able to do that. You’ll do it from your own home or office or wherever and there’s interaction. Paul: Oh yeah, yeah. Yeah, we take questions. I mean usually the last half hour of every session sometimes more is Q&A, so there’s real availability there. Bob: Really can’t be that. Now, you have…I know you only call a subscription? So people, there’s two versions of that, right? And I think this is a really important I think people gonna like this. The first version is what? Paul: First versions is the archives and what we’ve done…and actually there is three versions, one is sign up for free to this thing, I think it’s called, “The Student Lounge,” and you will get whatever is going up on YouTube and whatever’s going out for you in newsletter, we’ll just send you what’s available. If you sign up for the archives and I don’t know the prices of these things, it’s not that expensive you actually have access to a library of channeling’s, past live streams, the video tapes. We videotape every workshop so there’s usually I think about four or five lectures a month that go up into the archives from different workshops. And transcripts as well, I feel I think are available there as well for people that don’t wanna hear the whispering and repeating. Paul: So that’s the archive and then there’s the lab which has the archives as well as the subscription to the Wednesday live stream series included. So, if you’re wanna be a student and you wanna just check out the live streams as for a period of time or you wanna stay indefinitely because the guides don’t seem to be at any loss for things to teach. I’m a little tired but they’re still going fine the lab is there and that costs a bit more because it includes the weekly sessions with me in the guides. Paul: That’s up on YouTube for free. That’s up there, yeah, that should be up on my site for free. Some place, you can YouTube it but there is a lot of videotape of me channeling some of it going back to I think 2009, 2010 and you can see me heavy, you can see me skinny, you can see…I think I have a beard the whole time and all of these things. But you can also see how the work in the process transforms because as I continue to do this and this collaboration continues, it’s quite remarkable to see how things emerge. Bob: Give other favorites, you know, you mentioned the great change. Paul: Yeah. There’s a few that I do. There’s a channeling that they gave and this is again up online free. There’s a couple of them that I really love but there’s one called “How to Deal With an Atrocity,” I was channeling in Calgary, Alberta. And I woke up Sunday morning and I had a second day of a workshop, a weekend workshop beginning at 10:00 a.m. and I turned on the computer and the shootings at the Pulse nightclub in Orlando what happened the night before. And I knew that the guides would have to address something and they actually gave a whole lecture on it immediately that morning, not the event itself but dealing with anything that is confounding to our sense of how can there be a divine presence in the world. It was a strong teaching, so I think there is a number of them. There is another one that’s up there and I don’t remember the title of it, so I can’t share it from a workshop in Portland, Oregon a few months ago. There was just so simple, it’s on peace so those are three nice introductions. Bob: Yeah. I think that’s great. Just fun to, you know, sometimes people are like, you know, you look at a big menu and you’re like I don’t know what to use. It helps in that way. Anything that you wanted to cover that we didn’t cover, maybe we missed. Paul: No, I don’t. Thank you. Bob: This is such a pleasure to me and I know so many audience members found out about you years ago. Have been following you and are just over the top about what they have learned from you. I hear from them all the time and, of course, you know, many of them personally now. I’m thrilled to be a part of that and I’m thrilled that I too was at a place in my life where I was looking for what’s new. And I opened my mind to channeling where I was kinda closed to it before. And it really, I know it’s changed my life. So, thank you for that. Thank you for the work that you do and the sacrifices you made to do them. Paul: Thank you Bob. Thank you for doing this with me. I’m very grateful. Bob: All right. 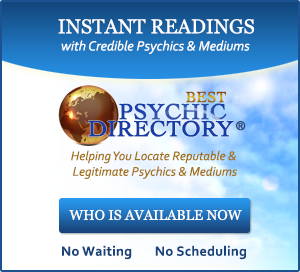 Go to Amazon, check out “The Book of Truth.” I wanna thank our sponsor Best Psychic Directory as always over 900 psychics and mediums listed there, you can read reviews. You can find them by specialty or location. Until next week enjoy every day. All right. Bye-bye.